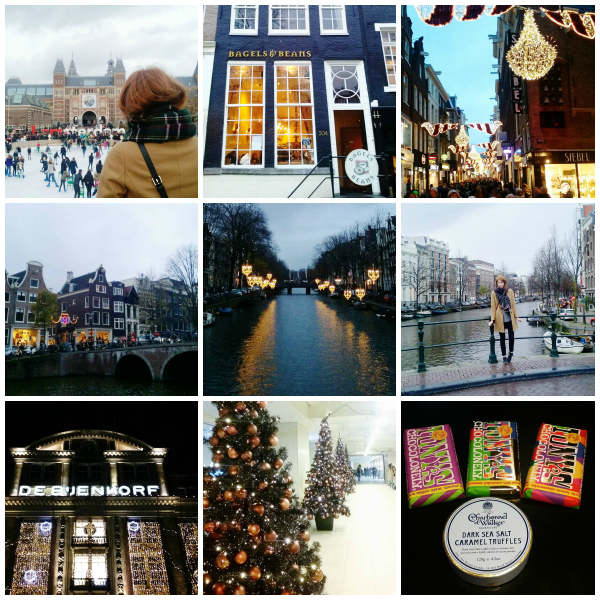 On Monday I promised to share a mini-post about our mini-trip to Amsterdam. I got sick and spent most of Monday and Tuesday in bed fighting the flu. My fever is gone now and I’m left with a nasty cold, but that won’t stop me from returning to my blog. It’s been a while. K shared the Amsterdam lights festival on Facebook and asked me if I wanted to come with her. As if she really had to ask! We left in the early afternoon on Saturday and took the 2 hour drive up north, just to see the installments for the lights festival and the Christmas decor. Upon arrival we came by the Rijksmuseum where we got snappy happy at the Iamsterdam letters and then we warmed ourselves up with a coffee at Bagels & Beans. It was SO cold outside, but the frost could not spoil our fun. We aimlessly wandered around the canals and alleys, visited De Bijenkorf and shopped for delicious edible souvenirs along the way. While blindly following the canal looking for more installments of the lights festival, we came across a small Christmas Market where we bought poffertjes to share. It felt so good to have something warm in my hands after hours of walking, haha. We got word about a new shopping section in Amsterdam Centraal and so we went to take a look. We found a cozy little shop called WAAR where we shopped three different Tony Chocolonely flavors for the ride back home. The dark caramel sea salt was to die for! I found this pretty, but way over budget scarf at Sissy-Boy and we were sad that Victoria’s Secret turned out to only sell the beauty products. There was a De Burgerij restaurant which we were pretty excited about, but my excitement was tempered when I learned that Yoghurt Barn was still under construction. Guess I’ll have to return to Amsterdam and stop by De Pijp next time! I don’t have any decent pictures to share, which is why this turned into a rather hasty mini-post. I’ve injured my shoulders and have been advised not to carry heavy things, such as my laptop or unnecessarily heavy handbags. That’s why I left my DSLR camera at home and most of the night-time photos I took with my phone are not worth sharing. Amstergramming it is! To be honest, I am kind of lost for words now. I haven’t been the best blogger these past few weeks and haven’t really had the energy to post much. Or the time (and weather) to shoot my OOTDs. If you don’t mind, I’m going to enjoy the last dark sea salt caramel truffles while watching Archer on Netflix. I shot a few photos of our Christmas tree and I’m really excited to share those with you! The post should be up on Friday. Thank you for being patient with me. aaaah ik ben nog maar één keer een paar uur in amsterdam geweest, daar moet precies toch eens verandering in komen! Aww! Feel better soon! I’ve always wanted to visit Amsterdam – it looks amazing, especially all Christmassy! 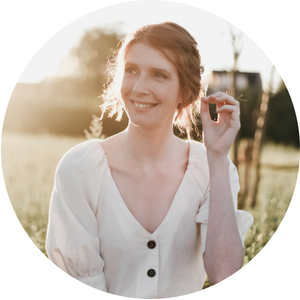 I can’t wait to see your tree – I took a couple snaps of ours and I keep meaning to blog them hah! Okay, first no more illnesses or injuries for you! But seriously, hope you are feeling better. Second, I actually really like seeing travel recaps utilize instagrams because it feels very in-the-moment, like we are there with you. Sounds like a fun trip too! Pictures and posts don’t always have to be perfect. It your blog and should be a reflection of you. I think your insta pics are great for this kind of post.